Memphis is moving in the right direction and the state is taking notice. That was the message from Tennessee Economic and Community Development Commissioner Bob Rolfe to a crowd of nearly 300 business leaders at the Greater Memphis Chamber’s inaugural State of the Economy event sponsored by Paragon Bank. “The narrative has changed...your city and your county are in a great place, and we will be back with additional announcements,” Rolfe said. On the heels of the most significant day for economic development in modern history for Downtown Memphis, Rolfe joined Larry Jensen, President & CEO of Cushman & Wakefield | Commercial Advisors for a panel discussion on the local, state and national economy. The panel was moderated by David Waddell, President & CEO of Waddell & Associates. Jensen said roughly $19 billion in new projects were either planned, underway or completed since 2014, but noted that more should be done to spread the investment across the community’s geographic footprint. Waddell credited strong collaboration between the public and private sectors in Memphis and Shelby County for the recent string of headquarters relocation announcements that will bring FedEx Logistics, Indigo Ag and Mimeo to or near Downtown Memphis. $19 billion in planned, underway or completed projects since 2014 in Memphis. While new investment and relocations are getting headlines, Waddell stressed that a concerted effort to increase spending between existing local businesses could create catalytic change for the city.“Small and mid-sized locally-owned businesses create the majority of the jobs in the economy and we’ve got to do more as a business community to encourage spending with our own companies already right here in Memphis,” Waddell said.What Waddell called a “Memphis First” mentality would spur economic growth and be a transformational shift for the local economy. Rolfe noted that when it comes to startups and entrepreneurship, Memphis has made great strides verses the rest of the state. "When I look at Memphis and what goes on here, you are miles ahead of Nashville and the other large urban communities." Rolfe said of the thriving entrepreneurial infrastructure established in Memphis. Waddell added that Memphis saw 12 percent growth in business filings compared to 10 percent growth across the state and 9 percent growth in Nashville. “I couldn’t resist sharing, but something is happening here because of Epicenter,” Waddell said. 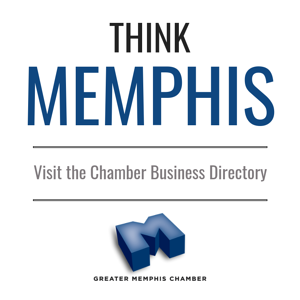 Rolfe conceded that the state must do more to help Memphis retain jobs, noting that Memphis has one of the state’s most difficult geographic challenges when it comes to retaining jobs because it borders two states with extremely competitive incentive programs that continue to lure jobs across state lines. “You are right across the border from a couple of competing states, one being Mississippi. One of the challenges, we have not, I think, successfully developed is a retention strategy, and that’s just simply because Governor Haslam wanted to focus on bringing new companies or expanding companies,” Rolfe said. Memphis is often pitted against other Tennessee cities as well as neighboring Mississippi for projects, but Rolfe also noted that site selection practices frequently put Tennessee in competition with Alabama, South Carolina, Georgia and Kentucky for jobs and investment. Despite slow population and wage growth in the metro area, other economic indicators trend positive for Memphis including low unemployment (3.8 percent), a record number of private sector employees in Memphis MSA, a rising average hourly wage (up more than 6 percent last year) and housing price index growing at the fastest rate since late 80s (11 percent higher than the top in 2007, according to Waddell) as strong indicators for the local economy. Rolfe also noted that the new governor is focused on continuing the positive momentum underway in West Tennessee. “With Governor (Bill) Lee, he is committed to making sure Memphis enjoys the same economic success that other parts of the state are enjoying,” Rolfe added. This post is part of a Chamber series explaining the pieces, players, and processes behind growth in this city. It's an exciting time to be in Memphis - click here to read more and join the conversation. 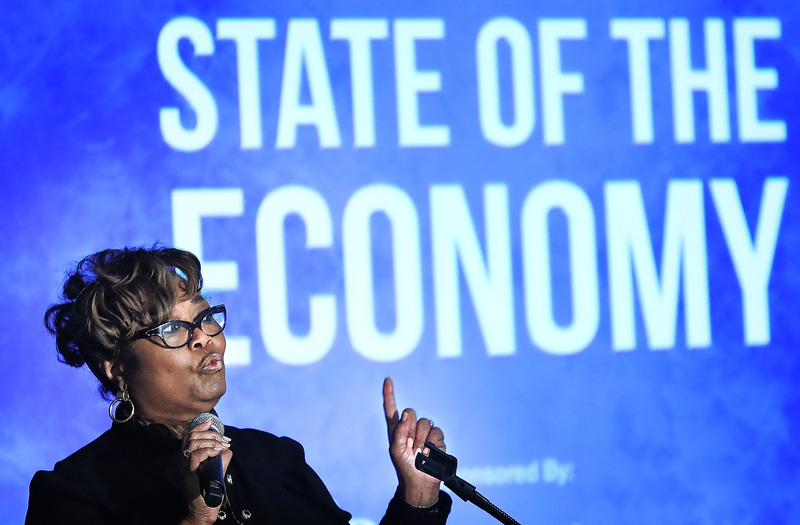 State of the Economy is an annual signature event of the Greater Memphis Chamber. To learn more about opportunities to sponsor this event in 2020, contact DeQuanda Roberson.